After a long hiatus the cagey comic filmmaker Azazel Jacobs (Terri, Momma's Man) returns with a wild, emotionally messy story of a middle-class marriage dissolving amid mutual infidelity. 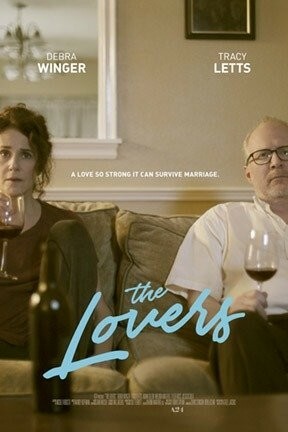 Mary (Debra Winger) and Michael (Tracy Letts) have been together for ages, but each has a longtime lover on the side who wants a serious commitment. Their young adult son (Tyler Ross), who's been stewing in their bitter juices for years, can't wait for them to pull the plug on their marriage, but as Mary and Michael near the brink, they unexpectedly begin to attract each other again. There's really only one joke here—the 50-ish spouses are every bit as confused, horny, and insecure as kids themselves—but the two gifted leads play it so gracefully that it sustains the entire movie. With Aidan Gillen and Melora Walters. The Lovers, The Lovers and The Lovers are not showing in any theaters in the area.